As good as Mcgregor’s ability to talk is, his fighting is even better. In 21 career matches (19-2), Mcgregor has only gone to decision one time. It was Max Holloway, who has won eight straight fights since then. Mcgregor has knocked out UFC veterans such a Chad Mendes, Dennis Siver, Diego Brandao and Dustin Poirier. His most famous of course was the 13 second-knock out of former bantamweight champion Jose Aldo. If you haven’t watched it you should go check it out since it’s so short. 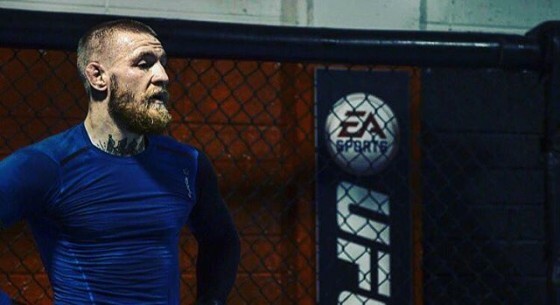 After obtaining the bantamweight title, McGregor has set his sights on the lightweight division. And, boy did Dana White deliver for his first fight. McGregor will fight lightweight champion Rafael Dos Anjos in a much-anticipated matchup. McGregor’s instant title fight in a new division is unprecedented in UFC history. If McGregor beats Dos Anjos, he will become the third person in UFC history to hold two belts in two divisions. The only other two are Randy Couture and BJ Penn, both are all-time greats. McGregor has the chance to cement himself as one of the greatest UFC fighters ever on March 5, and the scary part is, he is only 27.